Weather: Like March, the month of April sees a big rise in temperature, with average daily temperatures rising from a cool 12 °C (54°F) to a warm 35 °C (95 °F). Night temperatures is 1 °C (34 °F) at the start of April, but above 32 °C (90 °F) at the end. Sandstorms are possible. Daytime temperatures usually reach between 20 and 25°C (68–77°F), though changes of 28°C (82°F) to 8°C (46°F) are possible over 2 days. Mostly April is clear, 27 out of 30 days are clear, 2 out of 30 days are hazy and only about 1 in 30 days is cloudy. Data Graphs: Below are graphics for Beijing temperatures and weather conditions for a typical April. Clothing: It is still long sleeves weather most of the time. Taking a coat for the evenings is recommended. If you encounter a sandstorm, take proper precautions such as wearing face masks and staying indoors if necessary. 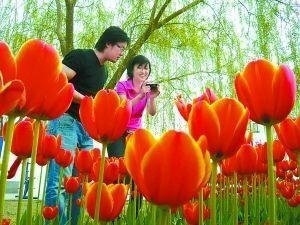 April is a good season to see flowers in Beijing, and the weather is more pleasant than in March. 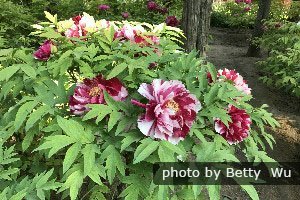 Top places to see flowers include Beijing Botanical Garden for peach blossoms, Jingshan Park for peonies, and Dajue Temple for magnolias. April is a good time to hike the Great Wall as there is usually pleasant weather and beautiful spring scenery. About 1½ hours&apos; drive northeast of Beijing, the Mutianyu section is the favorite of our customers with its majestic mountainous vistas, beautifully restored architecture, and fewer tourists. If you want to save time, you can take a cable car to ascend and descend the Wall. Beihai Park is one of the oldest, largest, and best-preserved ancient imperial gardens,with a history of over 1,000 years. It blends a lake, an island, and numerous temples and ornate buildings. 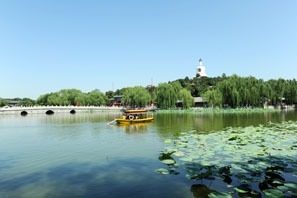 Climbing up to the White Buddha and strolling around Tai Lake are two wonderful activities in this serene spot. April is one of the best months to visit Beijing. The number of visitors to Beijing continually increases from this month. Hotel prices and demand will steadily increase toward summer, so book your rooms in advance. Friday April 5th 2019 is the Qingming Festival public holiday (Tomb Sweeping Day). According to Chinese traditions many citizens will drive to cemeteries to commemorate their ancestors. 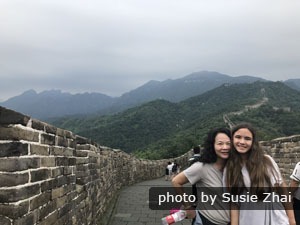 Younger people are more likely to spend the holiday and the following weekend (April 6-7) city sightseeing or on short getaway trips to the Great Wall or Beijing’s nearby ancient villages. Road traffic and crowding will be increased. Beijing International Long-Distance Running Festival is due to be held from 7 am on Sunday April 14th 2019. 20,000 participants will take part in this event. Its 20-km (13-mile) course starts from Tian’anmen Square and ends at Beijing Olympic Park. Road traffic will be restricted, so please plan your day trip time wisely to avoid the crowds or traffic jams/detours near the running route. 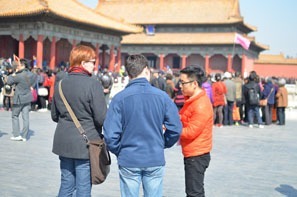 Have a look at our Beijing Tours for tour inspirations. Our tours can be customized. Private 4-Day Emperor&apos;s Tour of Beijing : Explore the emperors&apos;Forbidden City, visit the iconic Temple of Heaven, and relax at the Summer Palace. 4-Day Beijing Tour for Family with Kids: See the Forbidden City, Mutianyu Great Wall, Hutongs and Beijing Zoo Tour. 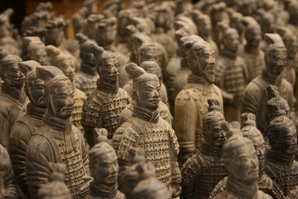 Beijing China Tours: The Great Wall, the Forbidden City, Terracotta Warriors... the highlights of China are yours to tour! 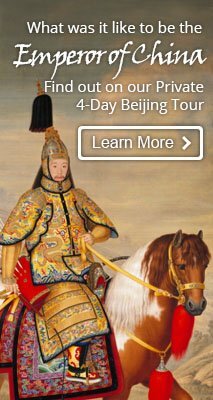 4-Day Private Emperor&apos;s Tour Just imagine being an Emperor of China... Explore the emperors&apos; Forbidden City. 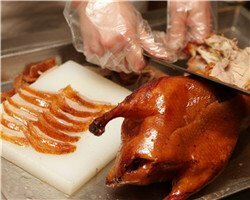 Walk along the Great Wall and savor the flavor of a Beijing roast duck.